Are you looking to take your family to one of Thailand’s beaches for a holiday? 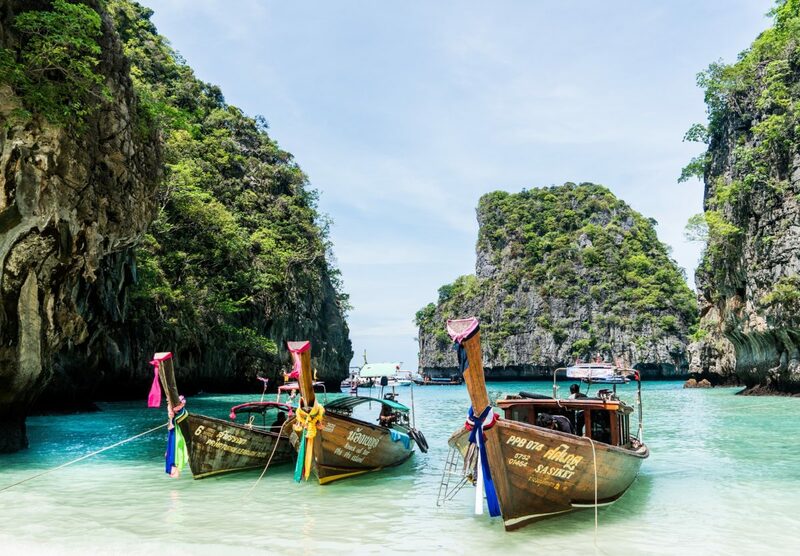 If yes, then go for any of these six best beach destinations in Thailand that are friendly for the whole family, including children. During high season, the beach at Ao Nang in Krabi becomes overcrowded with tourists from all over the world. It is also one of the popular destinations for family since Krabi features a lot of things to do. You will be able to see Krabi limestone formations as well as tiny islands on the horizon. Ao Nang is very developed and can be accessed from Krabi town without requiring a boat. Ao Nang beach road is lined with shops from where you can buy all the supplies you need. It also offers numerous watersports, jungle zip line, and diving. On your family trip in Krabi, you will also enjoy rock climbing. More rock climbing is available at Railay, where you can go by longtail boat. Ao Nang is the perfect vacation spot for families with kid-friendly resorts available. The White Sand beach consists of a beautiful strip of sand that has grown into a resort over the years. Numerous evening buffets and resorts occupy the beach, but you can find the old bamboo bungalow charm on the northern parts of the beach. The beach’s sand is powdery, soft, and white. On the Western parts of the beach, you will find coconut and palm trees. This destination is ideal for a traveler on a budget, and it offers a wide variety of accommodation for your family. The island is 5 hours from Bangkok. The beach is an ideal scene for diving and basking in the sun with your family. Sairee Beach consists of a sandy beach that stretches for one mile consisting of amazing views of tiny islands on the horizon. It is the most famous beach in Koh Tao with several cheap restaurants and accommodations that your family can afford. The nearest airport is in Koh Samui. Hence, accessing the beach requires you to take a ferry trip, and this keeps the beach uncrowded. Beaches in Koh Samui are usually crowded because they are a short flight from Bangkok. Lamai Beach is an ideal destination for tourists searching for beautiful scenery, excellent swimming, and out-of-water activities. The beach is exotic due to its turquoise water and clusters of palm trees. The busiest and best part of the beach is on the southern end. Take a bizarre break from the beach and take a look inside Wat Khunaram to see a mummified body of a monk inside a glass case. Discover the attractions around Samui Island by renting a motorbike. But this is only suitable if you have the Asia driving experience. Visit a fishing village slightly south of the beach. During the night, you can have a great time at restaurants in the Lamai Beach. Hua Hin is famous among international and local tourists for being one of the best beaches near Bangkok. The beach is popular due to the ease of traveling from Bangkok, numerous things to do, and flat stretches of beach. The beach slopes gently into the Gulf and it’s perfect for families with children. In addition to water sports and beach activities, the beach has a spa and wellness scene and world-class golf courses. You can also spend time with the family at the Khao Sam Roi Yot National Park that is nearby. Kata Beach is located a few miles from Patong Beach, south of Karon Beach. This more relaxed and quieter sand stretch is located in Southern Phuket. The beach makes Phuket famous due to its charming scenery, warm water, and palm trees. At this location, you will get beautiful resorts along the coast. Enjoy snorkeling on the northern end of the beach. Purchase snorkeling gear from local mini-marts or rent it from dive shops. For a fantastic cocktail view or picture, drive to the viewpoint between Nai Harn and Kata Beach. Waves at the beach are usually intense during the low season, and this makes it ideal for boogie boarding or surfing. Note that every fall, Phuket is extremely busy for over ten days during the Phuket Vegetarian Festival. When on a family vacation, consider visiting Thailand beaches. You will not only enjoy beach activities, but also culture and nature. About the author: Caroline Bird is a writer with years of experience in marketing communication. She enjoys meeting new people and reading more books to get inspired for her own book. I have never been to Thailand. A friend of mine went less than a year ago and I saw a lot of his photos and videos and it looks like there are very beautiful areas there.